Despite the high praises we gave Halo 3: ODST we had one major complaint - no cooperative match making. The excuse that was given at the time was a lack of resources, co-op matchmaking was something the Halo 3 engine wasn't capable of, and Bungie didn't have the manpower or time to alter it. With Halo Reach on the horizon Bungie has been quiet as to weather or not this feature would make it in the game. Believe it or not the game is still using the Halo 3 engine, though one that's heavily modified. Did co-op match making make the cut? Burn360.net attended Microsoft's X10 event and got the skinny. 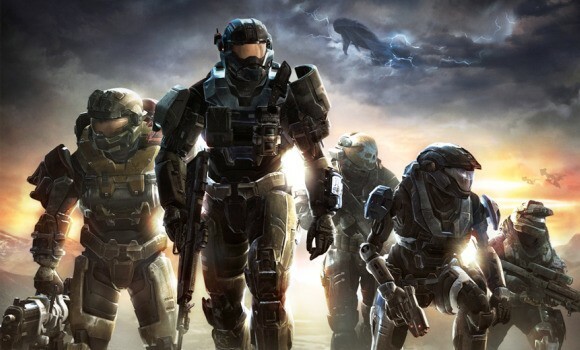 A source inside the Microsoft X10 event has informed us that while it hasn’t been made public knowledge as of yet, Halo Reach will feature Public Matchmaking for Cooperative game modes. Sounds like a planned feature that they aren't quite ready to announce. I guess some Bungie employee had a little to much to drink at the event.